You might already know about the Gili Islands – Indonesia’s pride and joy. They are pretty small and that’s their biggest selling point. Over the years, I’ve had the privilege of becoming friends with numerous tourists that visit Lombok to relax and have a good time. Now, even though Gili Trawangan, Menu, and Air are considered to be the best ones of their kind, most foreigners I’ve talked to claim that Gili Kedis is a hidden gem and the most beautiful tiny piece of heaven in South Asia. That’s quite a statement, right? Well, it certainly does deserve all the credit. If you take a look at the map, you’ll see that there are three more islands right next to it. They are all considerably bigger and have room for more visitors. On one hand, that’s awesome, as companionship and the feeling of being connected with other people is what trips to tropical resorts are good for. On the other hand, in Gili Kedis, you will get a chance to be totally alone with yourself (or your loved ones). Sudak, Tangkong, and Nanggu are minutes away and the tourists are free to travel between all four however they please. During my first visit, I was practically the only person in Kedis; and when things got a bit boring, I joined my buddies in Nanggu and had an entirely different kind of fun. Yep, versatility is one of the finest things about Lombok. What Is Gili Kedis All About? The locals move between the islands with the help of cute kayaks that are very cheap to rent. Say, from Sudak, it will take you no more than 10-15 minutes to get to your destination. In fact, the tourists can see and even hear what’s happening on the other Gilis in the area, which creates an amazing atmosphere. And while these aren’t the noisiest and most crowded islands out there, you’ll still be amazed by how quiet, tranquil, and uncharted Gili Kedis is. Fact: this is an incredibly tiny piece of land. Obviously, no car/bike is needed, as a man/woman will be able to walk around it in less than 5 minutes. Can you imagine how small it really is now? It’s almost like nature wished to create a perfect piece of heaven for couples from around the world that want to enjoy their privacy on a faraway island. When I got there, the birds were the only living creatures that welcomed me. First things first – Gili Kedis is a beauty. And the pictures you see here don’t really do it justice. In the real world, it’s so much better! The white sand, the crystal-clear ocean, the tropical trees, the plants, and the clear sky above your head create just the right “aura” for the visitors. Those swings on the beach will make the best Instagram photos blush. Even if you’re not a pro, you’ll still take some wonderful photographs. The palm trees provide shade where you can hide from the sun. During the high season, it gets very hot in the area. You’ll find them in the middle of the island. Apart from the trees, there isn’t really much to see in Gili Kedis – just a lot of white sand and the all-conquering ocean. Nothing compares to standing in the center of a tiny piece of land and admiring the majestic ocean. Again, the views are totally amazing. Forget about climbing high hills/mountains, using binoculars, or waiting for the right moment: the scenery is perfect 24/7. If you’re traveling with a loved one, make sure to wake up early in the morning and just sit on the beach facing the other Gilis. I promise – you’ll find yourselves smiling and laughing for no reason. Yep, this is the very definition of a private island, and you won’t have to spend a fortune to have it all to yourself. The government of Lombok owns it, and they are happy to welcome tourists from all over the world. The 21st century is all about moving forward, building tall skyscrapers and turning everything into a concrete jungle. And while that surely does have its benefits, it is places like Gili Kedis that inspire us and give the necessary strength to keep on going. Alright, enough talking, my friends. Let us focus more on what you’re going to find there. What Is There To Do In Gili Kedis? First of all, if you’re planning on snorkeling, be advised that the island is 100% ready for that. Without a doubt, snorkeling will be the highlight of your stay there, as the underwater world in south-eastern Lombok is stunning in more than one way. On my second trip, I was joined by my girlfriend, and we saw all kinds of exotic fish down there. The water is always warm and comfortable. Note: it might be a bit tricky to find the spots where most fish lives, which is why it will be a good idea to follow the snorkeling ships. For the newbies, seeing a couple of lonely eels will be amazing. But for the experienced folks, that won’t be much. The finest fish “hangs out” near Gili Sudak, by the way. Moving on, let me tell you that there are some public facilities on the island, including a couple of toilets. To hide from the sun on the beach, use the loungers. They might not be super comfortable but will definitely keep the rays away. It is very possible to get burned by the sun on Gili Kedis; so, make sure to grab your favorite cream and a fancy hat. Finally, there’s also a baruga for having picnics and enjoying your meals. Obviously, a magical island like this one can’t be yours 365 days a year. And soon, it will become crowded with more and more tourists. But hey – you can always switch between the less or more crowded spots however you please. So, as you can see, I absolutely loved Gili Kedis. However, I have to also say that you’ll find tons of plastic garbage in the ocean around it. And while the lodge owners in Sudak and Nanggu are doing a great job of keeping their islands clean, that doesn’t apply to this one. Thankfully, there isn’t any trash on the island itself, but there is enough near the beaches. The only thing you can do is be conscious about loitering and never leave any trash behind. There are some binds in Gili Kedis – put it all there. If you want to be left completely alone, choose a day during the offseason. That’s when the boat trips will be cheaper and the tourist flow will be reduced to a minimum. For a proper meal instead of snacks and drinks, feel free to visit Sudak. As mentioned in the beginning, it is minutes away and the lodges there will get you fed the “old-school” way. Service is great and the prices are low. The Internet doesn’t always work smoothly in this area, though; same goes for GPS. So, take a good look at the map below and put some notes in your phone/notebook that will guide you during the stay in Lombok. After snorkeling, swimming and sunbathing are the most popular activities. Again, make sure not to get sunstroke! Pack your bag with enough cash because there aren’t any ATM machines in the vicinity. 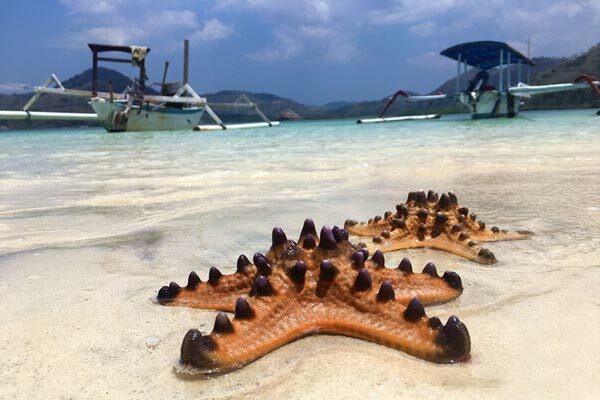 How To Find Gili Kedis? From the Lembar port, it will take you approximately 1 hour to get to Gili Kedis on a boat. From the airport, the distance to that port is 30-40 kilometers, depending on the route you choose. You can go through Jl. Bypass Bandara, Jl. Kabul or Jl. Selong Belanak. As a general rule, stick to the main road but keep an eye on the traffic. During the high season, the shortest routes are usually more crowded than ever. That means the longer routes might be able to get you to the destination faster and without any hassle. From Mataram, the drive will only take 30-40 minutes. But Lembar is not the only passage to Gili Kedis. From Bali, the tourists can rent speedboats or use public ferries to get to pretty much every tiny island out there. Naturally, public sea vessels are a lot cheaper, which might be a good match for a traveler on a budget. But if you’ve got some bucks in your pockets to spare, go with a speedboat. Or, better yet, fly over the ocean on board a plane: yes, that’s also possible in Bali. The prices change all the time and I can’t give you a 100% accurate number. However, 30-50 dollars should be more than enough to get from Lombok to Gili Kedis. And that’s it for today, my friends! I hope you have fun in Kedis. Shhh, don't tell folks about this wonderful island - only we get to enjoy it! I can't even find the right words to say how beautiful this Gili is. Definitely one of my all-time favorites. It feels like you're all alone in Kedis. Only the speedboats and the noise from neighboring islands will make you believe otherwise. Just another heavenly island in Lombok. There are so many! We used a speedboat from Bali, by the way. We spent several days in Sudak and moved to Kedis for a more intimate atmosphere.